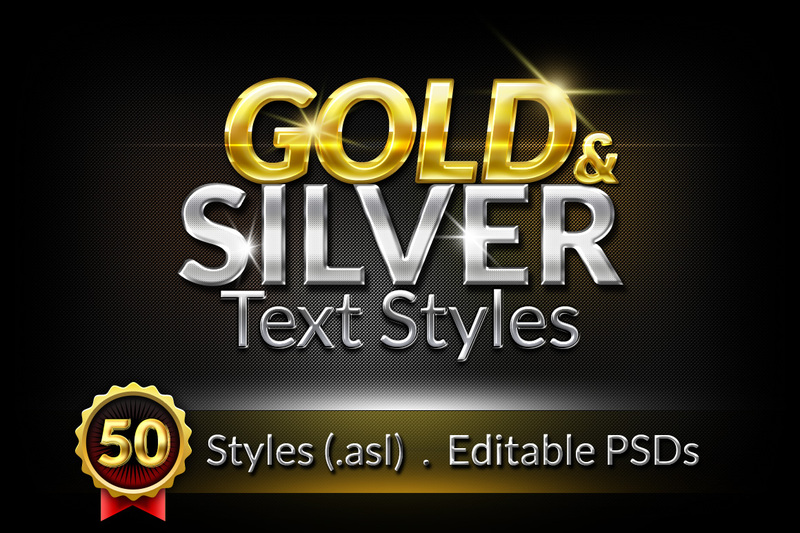 This is a set of 50 Gold and Silver text styles for Photoshop. These are shiny, crisp and elegant styles carefully handmade to help you create stunning gold and silver effects for text or objects in Photoshop. These layer styles are easy and can be applied with just ONE CLICK. You can also edit the effects easily. The shiny sparkles in the featured image are just for presentation purpose only.